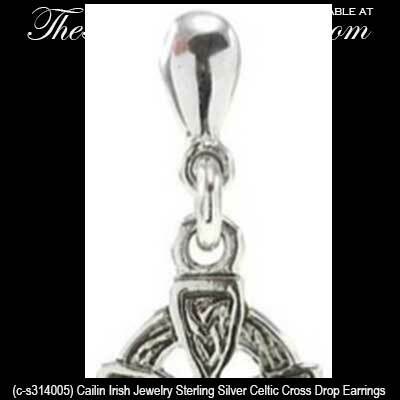 These sterling silver Celtic cross earrings feature engraved Celtic knots and measure 3/8” wide x 1" tall, from the bottom of the earring to the top of the post. 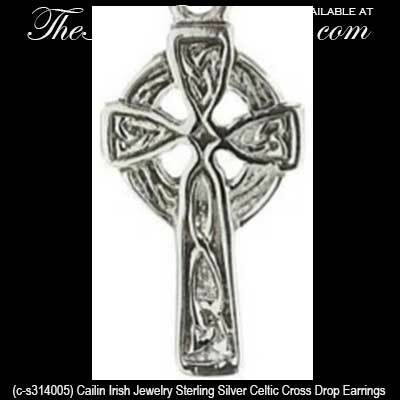 The Irish drop earrings are on posts with butteryfly backs and are gift boxed with Celtic cross and Celtic knot history cards that are compliments of The Irish Gift House. 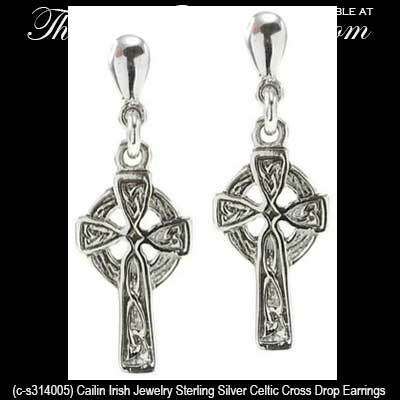 The Celtic cross earrings are crafted by Cailin Jewelry in Co. Kildare, Ireland.